Significant improvements since 2017, Most important being reduction in ads impeding play of the game, and improved flow of the actual play. You no longer have to wait a significant period of time and endure a number of obnoxiously loud ads before playing a new game. The win percentage has also increased, Further reducing the percentage of time waiting for ads as opposed to playing the game. 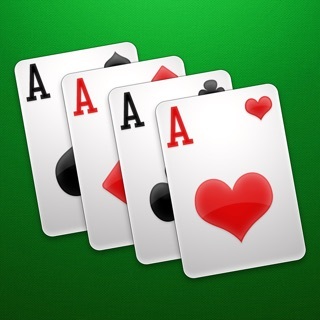 The features of this ap are better than other solitaire games are making this a recommendation at this time. If there is a return to a system that appears tvmanipulated to force you into an artificially high number of ad plays, I will delete this ap and downgrade to 1 star. ADS: I have found that my percentage of wins is higher using a standard deck of cards, which to me is suspicious, since when you lose you have to endure another ad before playing another game. That is in addition to the banner ads which can be clicked accidentally. Given how short the actual game is, the percentage of time watching ads is unacceptable, making the game more frustration than fun. TECHNICAL: for the above reasons I have Limited playtime, but I have not had any technical difficulties with the app.